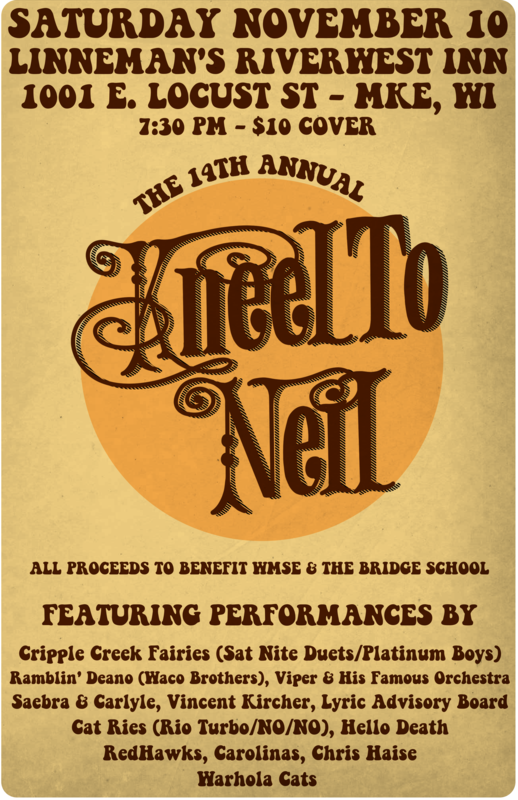 Please join us for the 15th annual Kneel to Neil concert celebrating the music of Neil Young. Proceeds benefit The Bridge School, an innovative organization educating children with severe speech and physical impairments and WMSE 91.7 Community-Powered Radio. We will celebrate Neil’s birthday at midnight! The evening will feature a wide variety of Wisconsin musicians interpreting songs from a career that began in 1963 in Winnipeg, Manitoba and continues to his current collaboration with Promise of the Real.